CARFAX 1-Owner, Faulkner Hyundai Philly 1 yr FREE Maintenance! Stone White exterior and Black interior, Laredo trim. 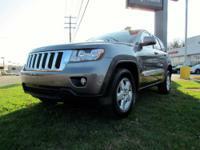 Moonroof, Flex Fuel, CD Player, iPod/MP3 Input, 4x4, PWR SUNROOF, Aluminum Wheels. 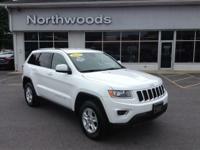 SEE MORE!KEY FEATURES INCLUDE: 4x4, Flex Fuel, iPod/MP3 Input, CD Player, Aluminum Wheels. Rear Spoiler, MP3 Player, Keyless Entry, Privacy Glass, Steering Wheel Controls.OPTION PACKAGES: PWR SUNROOF. 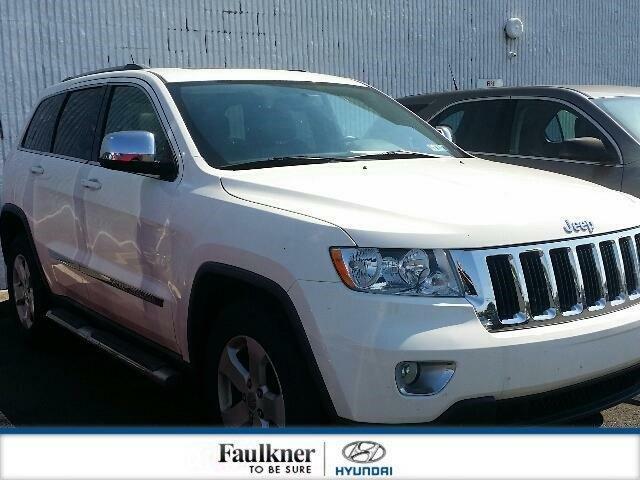 Jeep Laredo with Stone White exterior and Black interior features a V6 Cylinder Engine with 290 HP at 6400 RPM*. 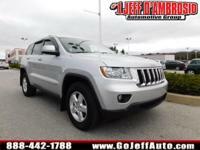 Here at Faulkner Hyundai Philly this Internet Special Includes 1 year of FREE maintenance!EXPERTS ARE SAYING: CarAndDriver.com's review says The latest Grand Cherokee is one of the Chrysler group's best offerings.. Approx. Original Base Sticker Price: $29,200*.PURCHASE WITH CONFIDENCE: CARFAX 1-OwnerWHY BUY FROM US: Please ask for the Used Car Department when inquiring about a vehicle! The Faulkner Organization today consists of 22 dealerships representing domestic and import franchises, employing more than 1000 people. At Faulkner, our most important goal is customer satisfaction. That's why our employees treat every customer with the utmost courtesy and respect. Pricing analysis performed on 9/8/2018. Horsepower calculations based on trim engine configuration. Please confirm the accuracy of the included equipment by calling us prior to purchase.